Snuggly, cuddly, sweet, soft, precious little newborns! 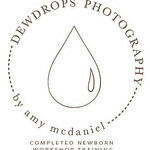 They change so much those first few weeks -- make sure you document their "new-ness" with professional images and heirloom artwork. Contact TruYou when you are still expecting your little bundle of joy to schedule your session. One of Eastern Iowa's Best Newborn and Baby Photographers. Trust your newborn portrait experience to TruYou Photography & Design where your baby's comfort and happiness is the MOST important consideration! Voted one of the Top Ten Newborn Photographers in the Cedar Rapids area in 2017 and 2018 - by Expertise.com.